The Canadian singer belted out the hits in front of a packed crowd at the O2 Arena last week, but there wasn’t just one Bublé entertaining the fans. 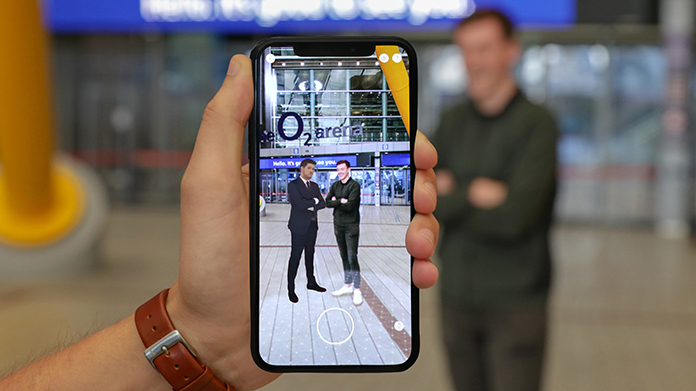 Thanks to the power of Augmented Reality, thousands of Bublés adorned smartphone screens across the O2, as well as in homes nationwide. The star posed in front of 106 hi-tech cameras for a volumetric capture shoot – turning his real-life movements into five moving poses that were downloadable via The O2 app. That meant, in a puff of smoke, a virtual reality Bublé appeared on your smartphone that you could take selfies and videos with. All those who ever wished they could kiss the golden-voiced star – or be on the receiving end of a celebrity marriage proposal – could make their dreams come true. The O2 team at Hope and Glory crooned the story into the national, showbiz and trade press, nabbing chart-topping coverage in the Daily Star, OK, Gizmodo, Music Week and Verge Magazine. Is it too early for a glass of celebratory mulled wine?